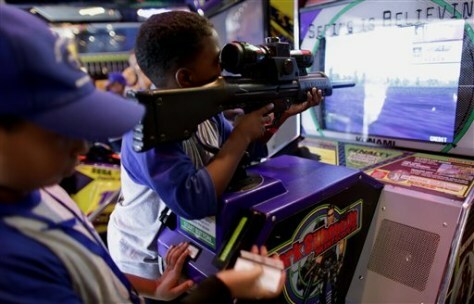 In Caracas, a boy uses a toy weapon to play a video game in an arcade. Venezuela's National Assembly is on track to prohibit violent video games and toys. The proposed legislation, which received initial approval in September, is expected to get a final vote in the coming weeks.